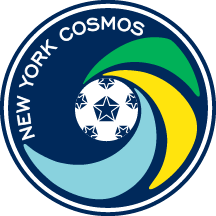 He is far from being in midseason form, yet Aaron Dennis hopes his first two weeks of training with the New York Cosmos will be good enough when he plays in an international match for the U.S. Virgin Islands on Friday. In fact, the 26-year-old forward will captain The Dashing Eagle when they visit Anguilla in a Concacaf Nations League contest. "I'm super excited," said Dennis, who has returned to the USVI for the first time since 1994. "I can't wait, can't wait to see the guys, can't wait to get going. Hopefully, with my training here for the last two weeks I will be sharp enough and ready enough to do well in the game." Dennis is of Jamaican descent but was born in the U.S. Virgin Islands in 1993 when his mother worked there for JP Morgan. 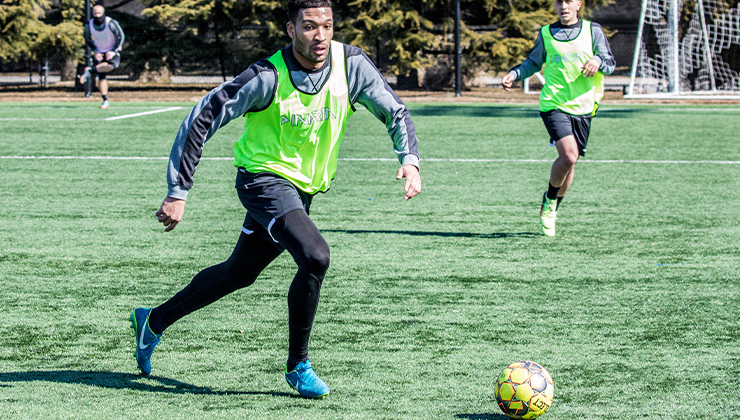 He hadn't given his association with that Caribbean island much thought until he received a call from USVI head coach Marcelo Serrano, who also guides Austin Bold FC (United Soccer League Championship), while shopping in a supermarket last year about joining the team. It was an offer the Elmont High School graduate could not refuse. Dennis flew to St. Croix to train with the squad on Monday. He is expected to receive his third international cap; the first two came in losses to Canada and Barbados last year. "I feel that we're ready," he said. "The guys have been training. There was a camp a few weeks ago and I've been hearing some good things from the coaching staff and other players who have attended. The group has been together for a few camps now. We're definitely more prepared than we were for the first game." His goal on Friday is simple. "Right now it is to win the match and if I can score one, two goals, to help us, I'd be ecstatic," Dennis said. Dennis is taking his role as team captain seriously. "A lot of the guys look up to me, which is new for me," he said. "So, I embrace that. I am working harder on talking to guys, giving them advice. A lot of guys ask me questions and I'm happy to answer them and give them stories of my previous experiences at the professional level." The Nations Cup is the qualifying arm for the 2019 Concacaf Gold Cup. The Dashing Eagle have been eliminated from contention, so Dennis wants to use the game as a stepping stone to build up the team and players' confidence. "Compared from last year until now, I think the players are much more prepared and a lot more players have been invited to camps that were previously," he said. "If we win this game, the team's moral, the country's moral will definitely go up and attract more fans. Hopefully, the country can get behind us and support us the right way." Turning around the soccer fortunes of a country doesn't happen overnight, but the USVI has planned some improvements. "Marcello has done a great job of recruiting players outside the nation," Dennis said. "So, a lot of better players have been coming in from when we first started or even from the last five years, like myself. Also, FIFA also funding a stadium that will be ready in three-four months, and I'm excited about that as well." That stadium is slated to be built in St. Croix. While Dennis will be eyeing a victory, he will find some time to tour his native land between training sessions. After all, he hasn't been on U.S. Virgin Islands soil since he was a baby. "Once we get some free time off, some days off, I'll definitely be traveling as much as I can, to see where I'm from," he said.